Lexington Code is a new binary options trading software by Michael Lexington. The sales page promises traders access to a software that’s producing $126,000 in monthly earnings for private brokers. Now this same software is available for free as part of a beta testing program. Today we will be providing a review and letting you know if this binary options beta test app is worth your time. The first thing we have to bring attention to with the Lexington Code is this concept of a beta test. Beta testing is the process in which systems and applications are used to work out all the bugs and issues. It makes absolutely no sense whatsoever why this software would be used by major private brokers before a beta test. Michael Lexington is essentially telling us that private brokers have been risking millions of dollars using a trading software that was never beta tested. The story doesn’t add up at all. The concept of beta tests in the binary options market is a fool’s game. Developers of binary options products almost always claim that their software is undergoing a free beta test to make it seem like the community is getting in on something new. The real reason for them to claim that it is a beta test is because it protects them and gives them a reason to tell you when you lose all your money with their software. The product is actually a binary options application you’ve likely seen many times in the past. This is a white label solution that’s been promoted by many different affiliate marketers using different product names. This exact same application is used by Prove My Profits, WikiTrader and One Touch Trade. All of these systems have failed or will fail in the near future. I assure you of that. There is absolutely no reason to recommend the Lexington Code software to the binary options public. This is another binary options product trying to deceive you into signing up. The story put forward by Michael Lexington can’t be trusted because it is flawed and full of holes. The software itself is just another white label trading robot that’s been proven to fail time and time again. 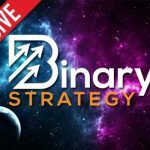 If you are a real binary options trader looking for ways to succeed in the market I recommend that you check out my latest live binary options trading session that I did last night. in this video I show you the exact strategy that I’m using to win trades in a semi-automated process. In order to be successful using my strategies all you need to have is patience and the willingness to listen and learn. More junk, thanks for the review. I won’t be using the Lexington Code now. Watching your YouTube video now.